The European Works of Art Days will return on 29 March 2019. On this occasion, the Galerie des Gobelins Paris opens its doors to unveil the exhibition “Métiers d’Art, Signatures des territoires”. From 29 March, the know-how of the territories will be invited to Paris for the major exhibition of the Journées Européennes des Métiers d’Art, which will showcase all the richness and innovation of French art crafts. 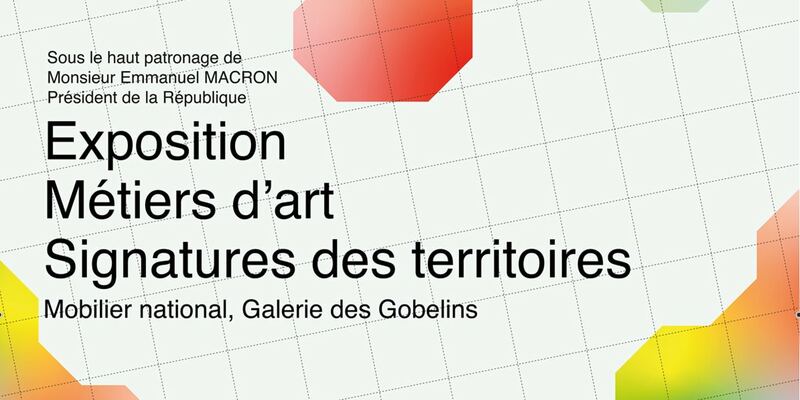 It will be held in the setting of the National Furniture, Galerie des Gobelins, for a stroll through the heart of the know-how of the territories entitled “Métiers d’art, Signatures des territoires“. Métiers d’art, Signatures des territoires: the exception and innovation of the regions in the heart of the Capital. Dedicated for the first time to the anchoring of crafts in the territories, the exhibition will present exceptional pieces that are a source of innovation and will bring together a selection of regional crafts, from the young signature to the Masters of Art, from schools to confirmed workshops. Imagined as a stroll through the 14 ports of call through the heart of the emblematic craftsmanship of our regions (lace from Le Puy or Calais, Lyon silk, Franche-Comtoise watchmaking, stained glass windows from the Loire, Longwy glazes, Sèvres ceramics, Limoges porcelain, Aubusson tapestry…). The exhibition will focus, at each stage of the journey, on the dimension of innovation and on the new uses and techniques of these local crafts signatures, and will show that the richness of crafts, at the source of our most famous manufactures and at the origin of the excellence of our luxury industry and French heritage.